It was a very interesting discussion yesterday with Shesaid.so at Native Instruments-Berlin. Have fun while watching the panel! 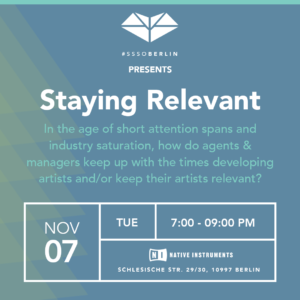 Topic: Staying Relevant in the music industry.